The Sony Xperia Z3 Compact is certainly getting around. Just the other day it was spotted in Russia and now it's popped up in America. The pint sized phone appears to have been spotted on the FCC database by Phone Arena. As usual with the FCC the listing doesn't reveal a huge number of details, but two versions of the device listed as PM-0810 and PM-0812 were spotted, with seemingly the only difference between the two being the 4G bands they support. As well as 4G, both were listed as coming with Wi-Fi, Bluetooth and NFC, while the phone is apparently 127 mm x 64.9 mm and the display diagonal is 4.57 inches, which more or less matches up with the 4.6-inch screen rumours that we've been hearing. As well as appearing at the FCC, the Sony Xperia Z3 Compact was also snapped again and the photos were picked up by Xperia Blog. These are very like the last set of images we saw and give us a good look at the 1/2.3-inch 20.7MP Exmor RS camera and LED flash. They also show us the sides of the phone, highlighting other details such as the presence of a dedicated camera button on one side and a single flap on the other, which houses both the micro USB port and the microSD card slot. We seem to be getting a pretty good picture of the phone and it's no wonder, with the Z3 Compact expected to be announced at the beginning of September. 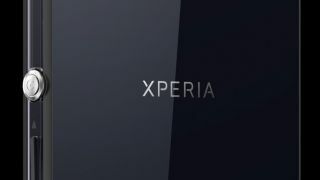 The full sized Xperia Z3 is on the way too.